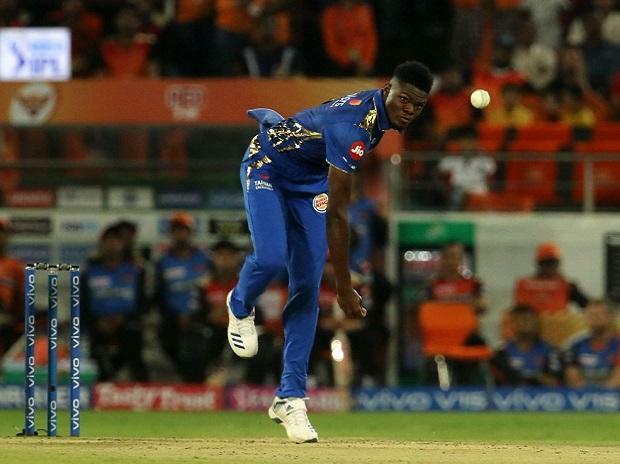 In Match 19 of VIVO Indian Premier League (IPL 2019), young West Indies pacer Alzzari Joseph made a dream IPL debut by recording the best bowling figures in IPL’s history as Mumbai Indians (MI) picked up an unexpected 40-run win over Sunrisers Hyderabad (SRH) in a low-scoring game at Rajiv Gandhi International Stadium in Hyderabad. 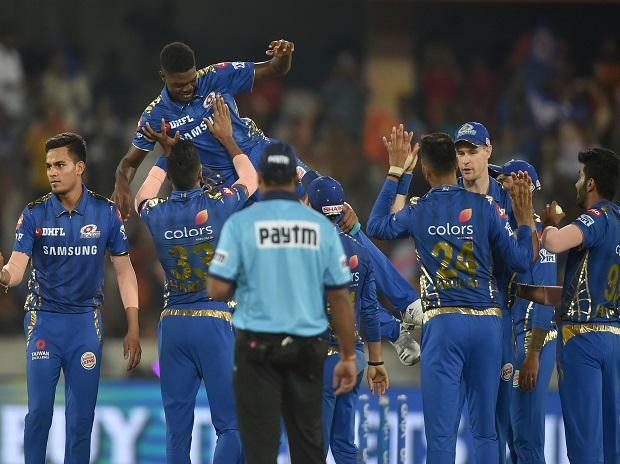 Keiron Pollard hammered an unbeaten 46 off 26 balls, helping Mumbai Indians recover to 136 for seven after an ordinary start. While Pollard was the stand out batsman, another West Indian in Joseph made all the difference in the bowling department, ending with sensational figures of six for 12 in 3.4 overs, bettering the effort of Pakistan pacer Sohail Tanvir, who had taken six for 14 in the inaugural IPL edition in 2008. Hyderabad were all out for 96 in 17.4 overs. It was the third win for Mumbai Indians in five games while Hyderabad suffered their second loss in five matches. Considering the stellar form of openers David Warner and Jonny Bairstow, 137 was expected to be a comfortable chase for Hyderabad. But they both were dismissed cheaply and that exposed the middle order which had not been tested much courtesy the devastating run of the openers. It was the first time this season that Hyderabad lost a wicket in the first six overs.